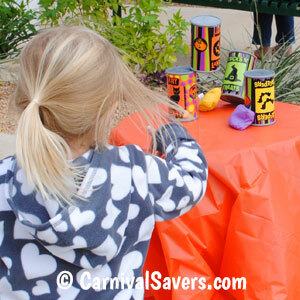 Halloween Carnival Game for Kids: Can Knock Down Game! Easy Setup and Storage for Next Year Too. This Game is Best For Younger Children. 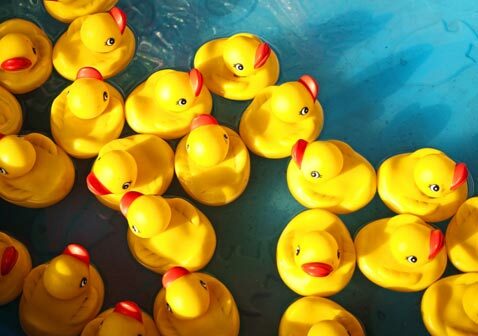 Before the Halloween Party, test this game for difficulty and place “stand behind” lines or hula hoops for different age children using sidewalk chalk, tape, small traffic cones or hula hoops. Each player is given three bean bags to toss per game. 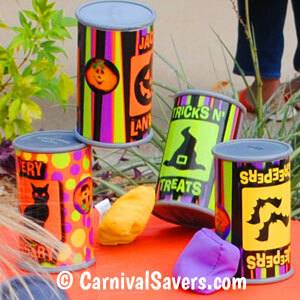 Halloween game players win prizes based upon how many plastic cans they knock down in 3 tosses of the bean bags. If you have older players, requiring players to knock the entire group of Plastic Cans completely off the stand to win the game makes this game more challenging . 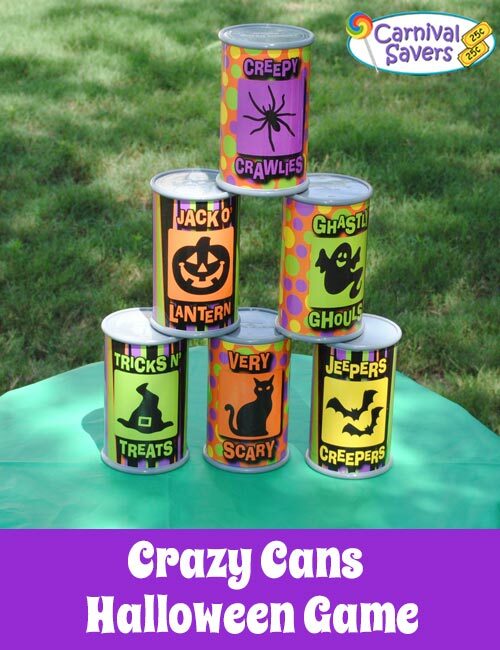 What a perfect game for a backyard Halloween carnival party!! If this game is for a larger Halloween Party, you may consider buying 2 sets and have them running at the same time! Also, this game is great for all age kids - just be sure to move your lines back for the older kids! 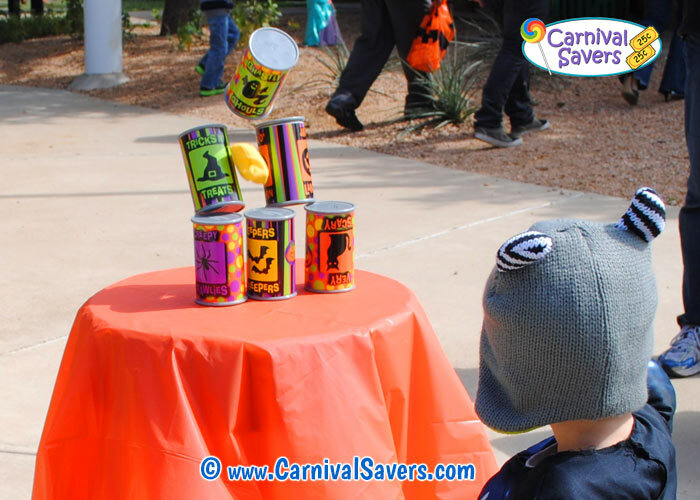 If you have a Halloween Party just for older kids (ages 12 and up) - consider using the Baseball Throw Carnival Game instead. 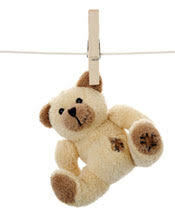 FALL PRIZES & GAME SUPPLIES for the HALLOWEEN KNOCK DOWN CAN GAME!